An elderly woman’s purse was snatched from her car last Monday (June 1) by a man pretending to ask for directions to Leeds. 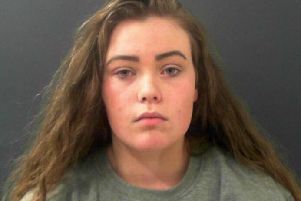 The victim was sat in her parked car on Cheltenham Parade when the incident took place and had put her handbag on the passenger seat ready to drive home. However, a man then appeared at the passenger-side window, opened the door and opened a large map of Yorkshire on the seat to ask for directions. After a couple of minutes, the man suddenly took the map away and closed the door, before opening it again and kissing her on the hand. The victim then noticed her purse had been stolen from her handbag with the thief managing to spend £900 on her cards before she had cancelled them. Police have described the man as white, in his late 20s or early 30s, 5ft 8 – 5ft 10in tall, with an average build, and short black hair. He was wearing smart, casual clothes and spoke with a foreign accent. The incident took place at around 4.40pm with police now urging residents in Harrogate to be vigilant. Officers believe that the suspect is from outside the North Yorkshire Police area, as the victim’s cards were used at Pool Garage and Asda in Pudsey, Leeds. The police have released an image of a man they would like to speak to in connection with the incident and are urging anyone who recognises him to come forward. Anyone who can help officers with their enquiries or has been approached in similar circumstances is urged to contact North Yorkshire Police on 101 – select option 2 – and ask for PC Amanda Hanusch-Moore or Harrogate police. Please quote reference number 12150090980 when passing information about this incident.